In recent research by the author, it became apparent that there was much more history involving the Gibbs & Morels Shipping Families. I am conscious that there is still a large family and acknowledge some sensitivity of their history. I believe that this short extract places a better understanding of how and why WOC’s and WOF’s came about along with its ultimate demise. The Morel family originated in Jersey. 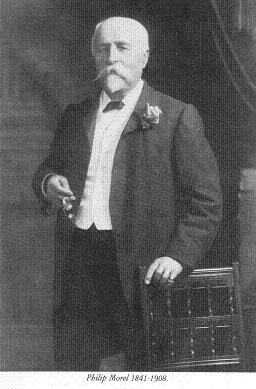 Two Morel brothers Philip (1841 – 1908) and Thomas (1844 – 1933) who founded the original firm, married two Gibbs sisters Martha and Susanna (Family from Portland England) and took their brother in law John Angel Gibbs into partnership with them. It was indeed a family firm. 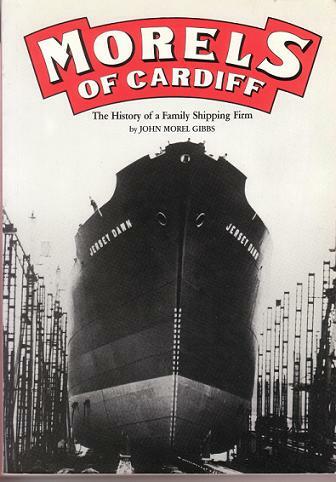 The shipping business began around early 1856 in Cardiff Wales. 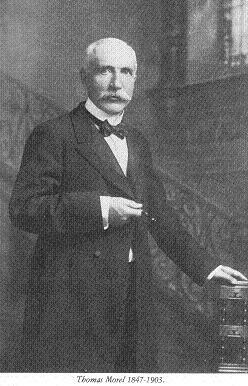 Over the next century, the Morel and Gibbs families prospered and split several times. The Morel Shipping side was one of the last truly privately owned family shipping companies, with shares only within the family itself, until its eventual demise around 1957. There were Gibbs as Directors of Morels but they were not encouraged to be active and indeed the Morels were always suspicious of the Gibbs, and as with many intertwined family businesses deep unrest existed. Gibbs & Co owned vessels from 1908 in their own right. During various periods the fortunes of the Shipping Business was volatile to say the least, and after the 2nd World War a change in direction and general uninterest took place. Compensation from the UK Government in respect to vessels lost during the war could only be taken against building new ships. 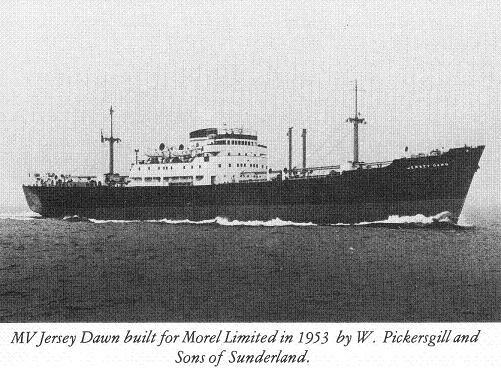 Three ships were ordered and built MV Jersey Spray, Jersey Mist and Jersey Dawn, the later being built in 1953 at W. Pickersgill & Sons of Sunderland. Morels had had a vessel build at Pickersgill before the SS Lyndhurst in 1888. During the 1950’s Nigel and Vivian Gibbs (1) were making a success of their own company. During the mid 50’s deep business unrest existed amongst the Morel family and on more than one occasion Ted Morel had contact with several interested parties, one being the Powell Duffryn Company (they eventually took over Stephenson Clarke Shipping of Newcastle Upon Tyne) Matters dragged on, a slump seemed to be setting in and there was no movement until the Suez crisis occurred. As ever, in a situation of increased international tension the threat to the Canal caused interest in ships and shipping to flare up, and the 3 ‘Jersey’ ships were sold. The timing of the operation was entirely fortuitous, brought about by events quite beyond the Morel family control (1956). The Morel Shipping business was sold off and the company wound up. In 1957 Gibbs Shipping procured a 10 (?) year charter from British Iron & Steel (BISCO) indeed from this period through to the late 1970’s many British Shipping Companies prospered from BISCO contracts. However in the Gibbs case they needed as vessel to service the charter, they placed an order with a yard, but did not have the financial capability to build the ship. Basil Mavroleon (BM) of LOF saw the opportunity to secure a new building contract with Austin & Pickersgill (A & P), it just so happened that LOF had bought a 50% share in A & P in 1957! (A & P was nationalised in 1977) It was agreed to participate with Gibbs Shipping if the New Build contract was cancelled and placed with A & P instead. This occurred and the ‘Welsh Herald‘ was built, after this initial contribution Welsh Ore Carriers was self financing throughout its development. 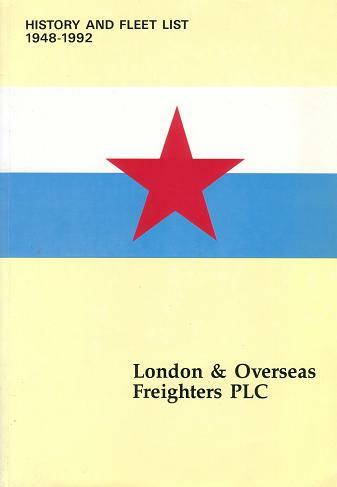 In 1961 LOF took a 50% share of Welsh Ore Carriers another 1% in 1969 In 1982 this Subsidiary Company was incorporated into Welsh Overseas Freighters. They had their own chartering/victualling/purchasing and superintendents departments. 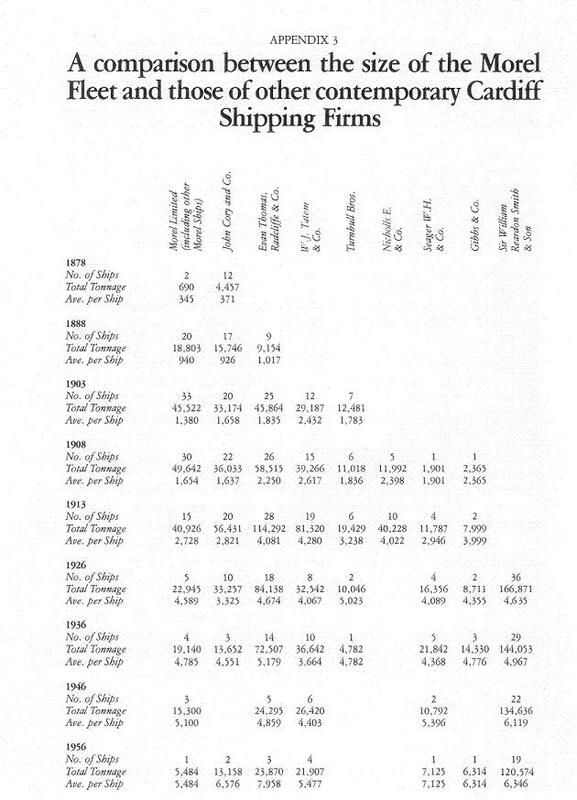 Welsh Overseas Freighters was wound up as a company in 1986 from the table listing the vessels, most were sold before 1986. Submarine 29th Jan 1941. 16 Crew were lost. Ship Information: Welsh Ore Carriers. The Directors Nigel and Vivian Gibbs have passed away. Nigel Gibbs had a son, Peter was involved in the ‘West Wales Shipping Co’ – he had barges on the Rhine and possibly a Marina at Saltford of Avon, now called the Boathouse. Directors Stanley Sedgwick has passed away. Mr. Miles Kulukundis the last Chairman of LOF lives in the USA and has retired. Mr. Miles Kulukundis Ship-owner and MD LOF. Mr. James (Morel) Gibbs @ The Gibbs Family Trust. Mr. Noris Jackson Engineer Superintendent and MD LOF. Mr. Mark Kinnaird Chartering Manager LOF The History of LOF. The National Museum of Wales @ Cardiff. Mr. David Bryan 3rd Engineer Welsh Overseas Freighters.